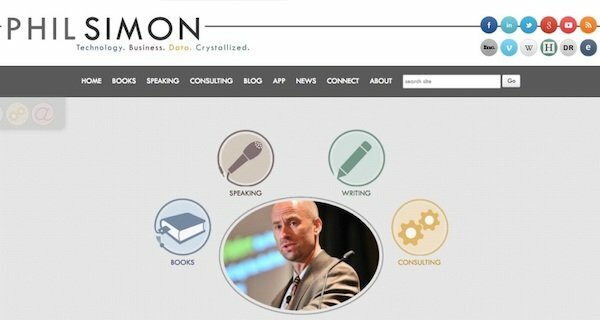 As a public speaker and the author of seven books, my website is key to my livelihood. It’s my virtual storefront to the world. A professional web presence isn’t just desired; it’s imperative. But I have to confess something: When I’m not writing and speaking, I’m tweaking. No, I mean the website kind of tweaker. I’m talking about the type who likes experimenting with different plugins, themes, code, and other doohickeys. I’ll be happy with my site and then, maybe a week later, I’ll see something cool on another site and wonder if I can implement it. If tweaking means that I break a few things in the process, so be it. WPEngine provides great backup and recovery tools, not to mention first-class support. I’ve used WordPress for nearly five years now and I know enough to be dangerous. Still, I’m not a full-time developer. Some website changes I just couldn’t make on my own. (WordPress might be open source, but there’s a world of difference between free speech and free beer.) “The community” wasn’t going to fix my website or make major changes for me. The previous incarnation of site ran on Twitter Bootstrap. At the end of last year, though, I had reached a tipping point. First, I wanted a fresh web presence before the release of my new book, Message Not Received. Second, I was tired of cobbling together a bunch of kludges to make my site do what I wanted it to do. (The effect on site speed was noticeable). In short, I wanted a theme that “shipped” with a great deal of native functionality. Specifically, I’m talking about tabs, new page layouts, toggles, sliders, and the like. I wanted a visually compelling website that was relatively easy for an intermediate WordPress guy to maintain. Beyond that, I didn’t want to depend on anyone else to make fairly significant changes for me. For instance, with Bootstrap, I could not easily switch to from a two-column layout to three. I very much wanted to be able to easily tweak page layouts without calling a developer or learning PHP and CSS. I started search for a theme that would let me accomplish all of these goals. As I said, I’m a tweaker. It took a little practice, but within an hour I got the hang of the Divi visual builder. I was able to replicate most of my old pages and improve upon ones that didn’t flow properly. In addition, Divi obviated the need many separate plugins I had used to piece together the old site. The theme ships with tabs, accordions, mega menus, toggles, custom sidebars, and much more. Divi lets me do just that—and more. Babs (my developer) tweaked the CSS to my specifications. I pushed my staging site live and, voila!, I was live. Does your site do the same for your organization? 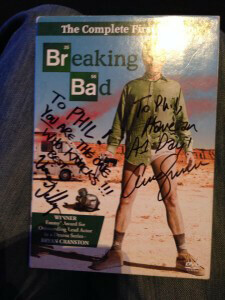 Phil Simon is a frequent keynote speaker and recognized technology authority. He is the award-winning author of seven management books, most recently Message Not Received. He consults organizations on matters related to communications, strategy, data, and technology. His contributions have been featured on The Harvard Business Review, CNN, Wired, NBC, CNBC, Inc. Magazine, BusinessWeek, The Huffington Post, The New York Times, Fox News, and many other sites. Nice site. Great job Babs Hobbs!!! Great job Babbs. Your work is great and you have been such a great contribution to the Divi community. Your help on the Divi Users Facebook group is awesome. It is such a pleasure to have you as part of this wonderful community. Very cool site. I love seeing these. Great News for Babs and a well written post – Nice to see a Jock(ess) get some Kudos – Bravo! I enjoyed reading your story and I have to say, I love the color scheme of your site. Thanks, man. It matches my third book and my tennis sneakers. What a fun post – so well written it kept me intrigued from start to finish. I then clicked to see your site and I think it looks great too! Beautifully designed and a very good first photo. Thanks for the article and thanks for sharing your site. Great story and great site. Nice work Babs! Many congrats to both Phil and Babs on a great looking website. 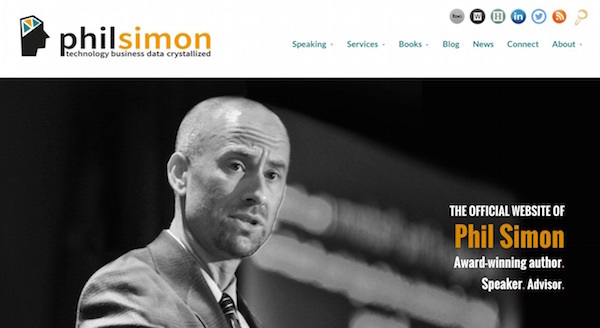 Love Phil’s image on the homepage and that font is crystal clear – did you increase the default font size a tad? Orange black and green are a perfect combination of striking colours and that maybe an idea that I’ll steal. Steal away. I’m using Google fonts and, yes, Babs made some CSS tweaks. The drop breaks the rock. Thank you for your blogs because I was on my last decision and now it’s totally clear about DIVI. Thank you for sharing your story, great looking site. great story and a gorgeous website, congrats to you both, thanks for sharing. Thanks for sharing your challenge, and your successful experience with Divi and our friend Babs! A winning combination!